Centerforce Clutch Kit - Dual-Friction MAZDA - MiataRoadster - Stay tuned with MiataRoadster! 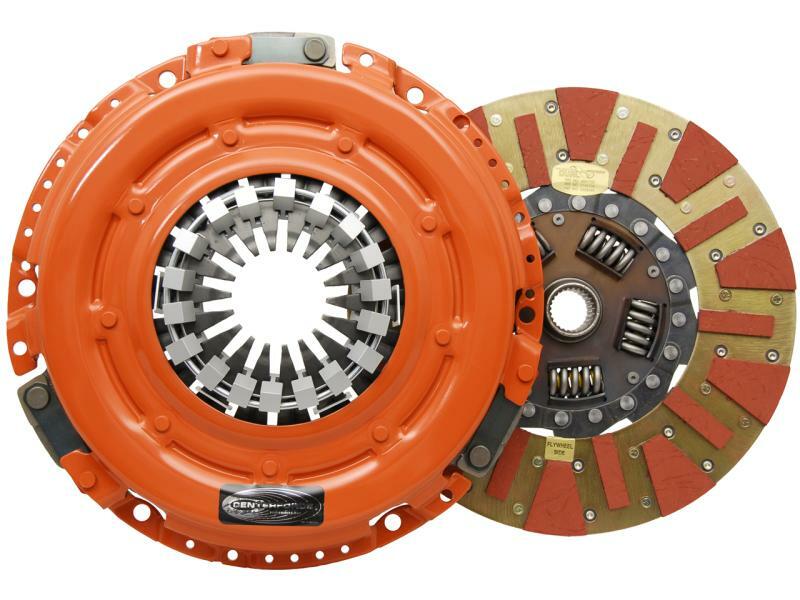 The Centerforce Dual-Friction clutch set is a performance matched pressure plate & disc combination. Centerforce Dual-Friction pressure plates feature their patented centrifugal weight system (where applicable) and specialized machining processes to provide a performance clutch that offers exceptional street characteristics, while offering outstanding holding-capacity and durability. Furthermore, the Centerforce Dual-Friction disc has a full facing on the pressure plate side for drivability and longevity, while a carbon composite puc style (segmented) facing is used on the flywheel side for a positive engagement and increased holding-capacity. Dual Friction is engineered for those who are looking for the ultimate in street/strip holding power and performance without sacrificing pedal effort and driver control. While the Dual Friction has been engineered primarily as a street clutch it can be used in mild competition applications.